Dogs are so unintentionally hilarious sometimes, they make the best entertainment without even trying. Some are caught in the act, other dogs are straight up goofy. Here are hilarious doggo moments captured by Snapchat users. When animals grow up alongside other animals, they often mimic behaviors. Here is a dog who grew up with two cats and is purr-fectly fine adopting some cat habits. 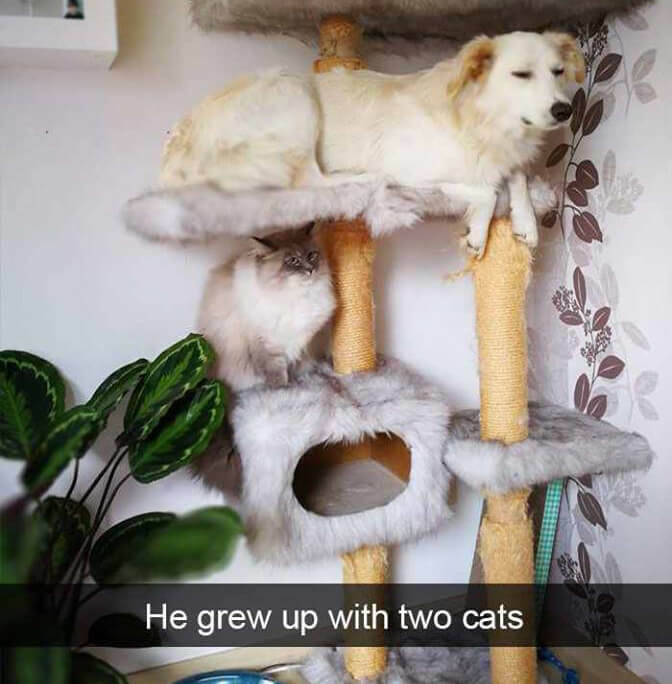 We’re sure he has a comfortable bed on the floor, but here this dog is down to perch with the cats.